On Thursday, Motorola dramatically unveiled a new 2015 Moto X model, the Moto X Force, that Motorola says sports a shatterproof display. Not crack-resistant or "tough as nails," but shatterproof. And the company is backing up the claim with a four-year replacement guarantee. The announcement, and Motorola's bold boast about the screen, came in the form of an entertainingly over-the-top video demonstration, which Motorola dubbed the #ShortestPressAnnouncementEver. 64-bit octa-core Qualcomm Snapdragon 810 @ 2.0GHz with Adreno 430 GPU, 3GB RAM, and the "Moto Voice" natural language processor baked in. It's interesting to note that the Moto X Force is just one LTE band away from the Moto X (Style) Pure Edition's "universal LTE banding." And its wide range supported network types may leave a chance open that the Moto X Force could work on some GSM-based U.S. networks, though probably not as smoothly and trouble-free as if it were designed for it. 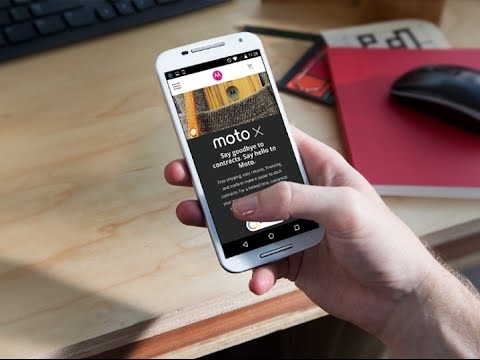 The only missed opportunity with the Moto X Force is that, while it has a water-resistant nanocoating like the Moto X Style, Motorola could have really made the device accident-proof if it had given the Force the same waterproof design that comes with the third-generation Moto G. That (cheaper) device's IP67 waterproofing is rated for up to 30 minutes in three feet of water. If the Moto X Force had that, you could not only repeatedly drop the phone on a concrete surface without consequence -- you could drop it, bank it off a curb and into a puddle, all (probably) without ruining your day.